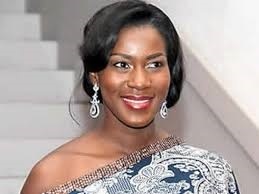 Stephanie Linus has been recognized internationally for her passion and talent. The actress and producer has been appointed as an ambassador of United Nations Population Fund, West and Central Africa. The philanthropist through her Extended Hands Foundation has help treat over 200 cases of Vesico-Viginal Fistulae in the Northern part of the country. Currently, she is collaborating with the Kebbi state Government via the Ministry of Women Affairs and the Wife of the Governor,Zainab Bagudu to help fix at least 50 cases in the state. As Regional Ambassador, she will help advocate and raise awareness on socio-economic challenges. whilst encouraging policies and laws that protect the rights and dignity of the girl child, and the critical investments needed for young people to fulfill their potential. She confirmed the appointment on her Instagram page.